During my fall roundup of all my favorite jackets, the one thing I’m obsessing over is patched denim jackets. 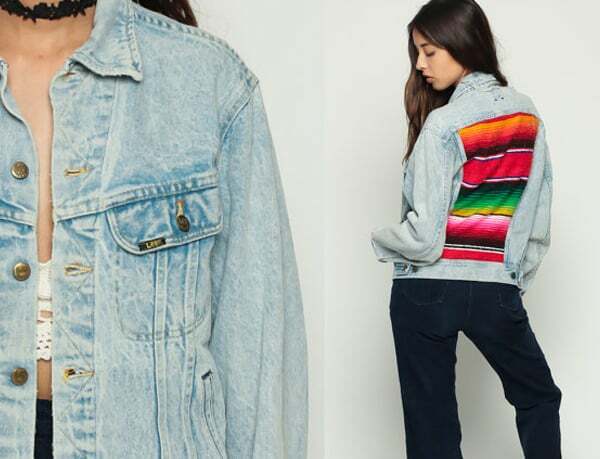 If patches aren’t your thing, try on a hand painted, or serape jacket for size. You can collect patches and sew them on, on your own, or you can find pre-made or pre-loved vintage jackets online! Scour places like Etsy for the perfect one. However, I find that collecting patches and pins to make your own is so much fun that I’m actually working on my own jacket as we speak! No matter what your style is, there’s a funky denim jacket out there for you. Just enjoy the adventure of finding it!